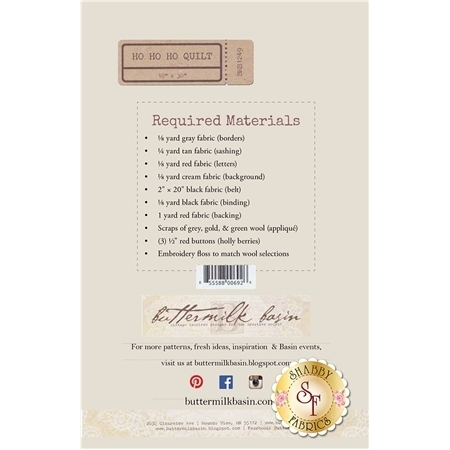 You'll love this sweet addition to your holiday decor designed by Buttermilk Basin! 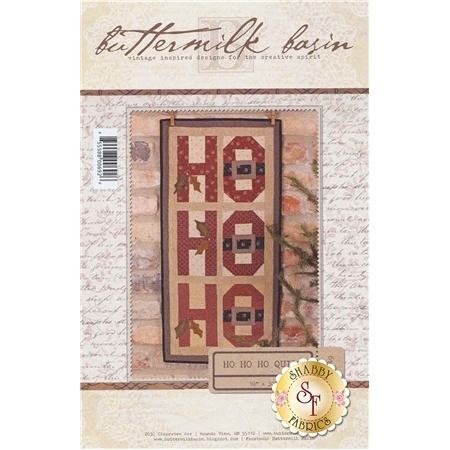 This 16" x 30" quilt features the words "HO HO HO" with little accents of holly leaves. Pattern includes diagram and instructions to complete this wall hanging.